The dessert bar, which first opened on St. Mark’s Square and now has another location in Koreatown, takes Asian flavors such as green tea, Kobacha and Yuzu and turns them into creative, garden-themed desserts. 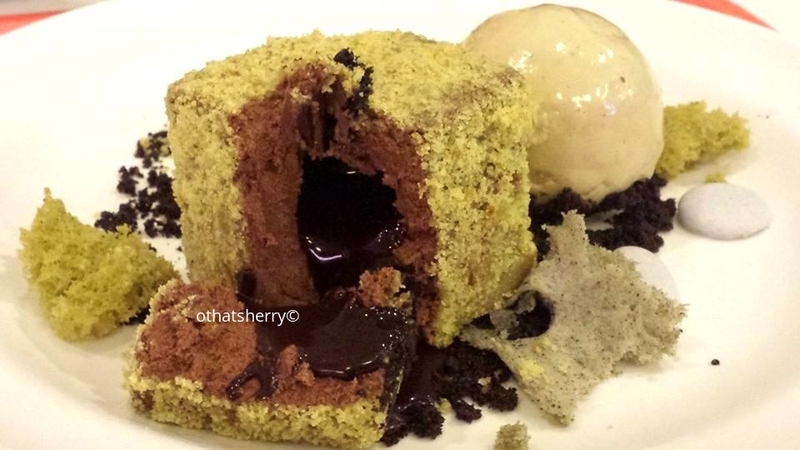 While “Chocolate Green Tea Lava Cake” claims first in popularity, I would urge you to try the “Chocolate Forest” — chocolate mousse cake with pistachio ice cream, instead. The dessert, more like culinary art, calls for admiration. PLATING — A moss-like block of chocolate cakes and a mound of pale-green pistachio ice cream sits amidst dirt (dark cocoa chocolate cookie crumble) , pebble (sugar) — resembles the quiet Zen of a Japanese Garden. FLAVOR/TEXTURE — Each ingredient stands on its own, but also complements each other. The cake is richly decadent, creamy, but the cocoa cookie crumble brings a welcoming bitterness and crunch to the bite. LAVA — What’s not to love about a lava cake? Oh, the pure exhilaration of cutting into the cake to discover the oozing, dark goodness within. Enough said.